Alaris Antennas will once again be attending the AAD Expo as part of the South African National Pavilion. 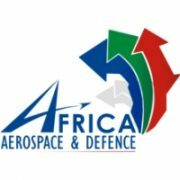 The Africa Aerospace and Defence (AAD) is Africa’s only aerospace and defence expo that combines both a trade exhibition and an air show. Held biennially in the City of Tshwane – South Africa’s administrative capital, the Expo is one of South Africa’s largest contributors to the country’s GDP in show years, and is regarded as a national asset. Rated amongst the top six exhibitions in the world, it brings together the largest gathering of industry players in aerospace and defence with more than 450 participating companies from over 30 countries. The AAD Expo provides a conducive environment for business-to-business linkages, as well as an ideal platform for engaging in dialogue and discourse on international defence, aerospace and other related best practices.